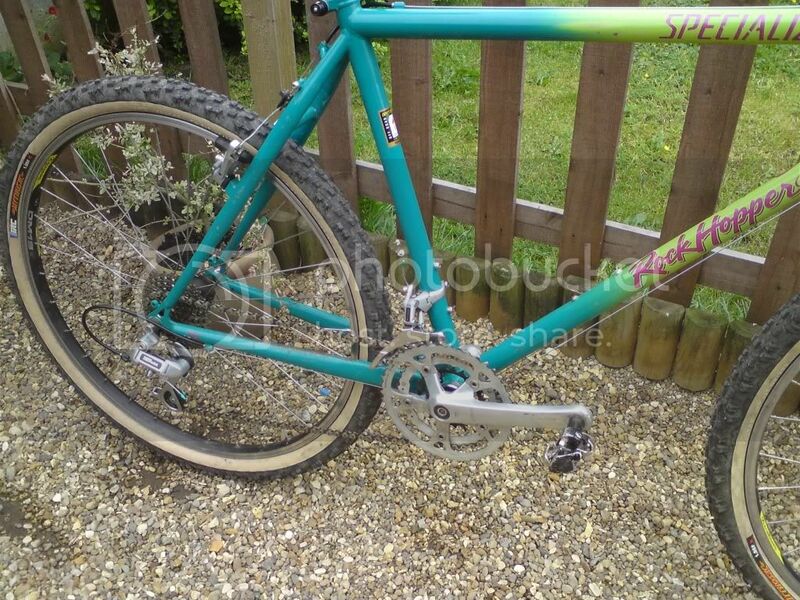 I bought the frame & forks off Clockworkgazz a few weeks ago and have finally got round to building it. Loads of bits to do and parts to change yet and the forks are off to Fluffychickens for a service but as it is it seems to ride very nicely. I need some nice straddle cable hangers for it if anyone has any suggestions? Thought green might work but what do you think? Last edited by chrisv40 on Tue Jul 26, 2011 10:26 pm, edited 2 times in total. Yes I'm looking for some chill pills at the moment. Really nice bike.. loving the colour. 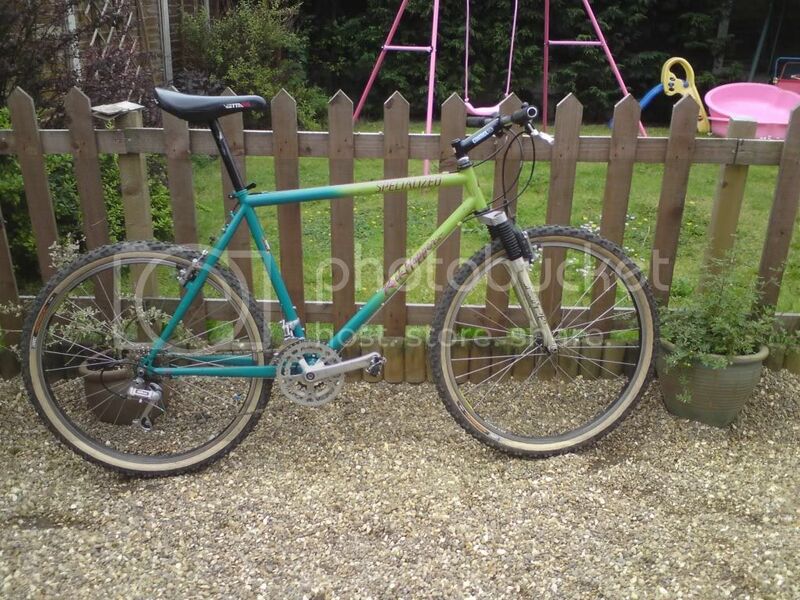 Just paid for some chill pills off Degs so that just leaves a new seatpost to order I think. Don't worry about it Gaz, I might be able to straighten them properly when I have the time. 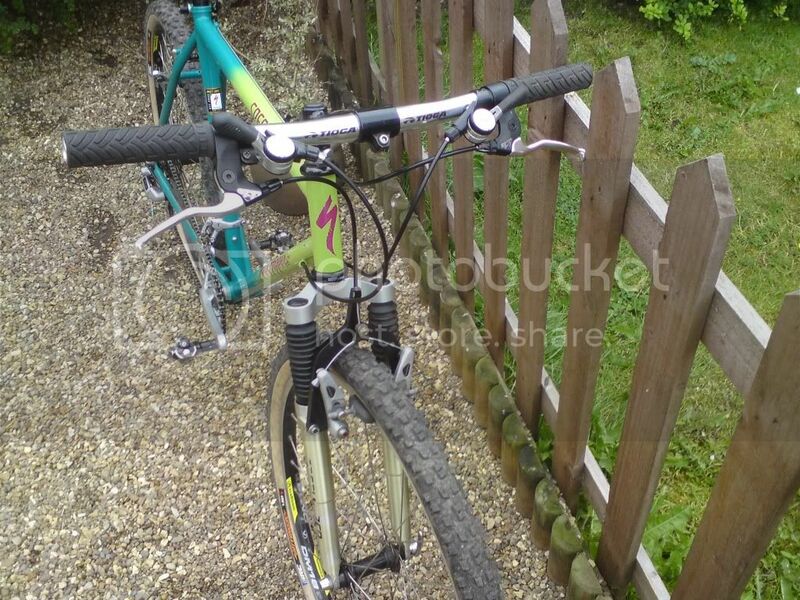 send me your address and I'll send them on- they looked lush and were a great match, the rockhopper is why I got them.